Despite his advancement in age however, Buhari gave assurance that his administration wouldMAKE a difference. Meanwhile, The PDP Media Watchdog has reacted to the statement credited to President Muhammadu Buhari in which he declared and admitted that age will limit the rate of his performance in office as President of Nigeria. The group while reacting to the statement on Wednesday June 17, 2015 said the APC and President Buhari are gang of hypocrites and liars. “The PDP is again vindicated by this confession from President Muhammadu Buhari and many more that are yet to come. 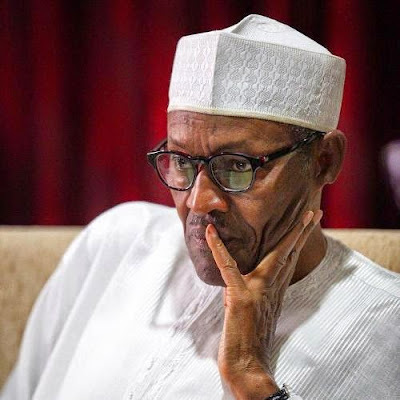 A statement released by the group said; “It’s barely three weeks into the administration of President Muhammadu Buhari and his age is already telling on him, so, what will happen to Nigeria in the remaining 1,440 days of this government. It’s better to find a black goat in the day time rather than looking for it in the night and this is why we are asking President Buhari to resign now because Nigerians will not entertain further excuses of why the APC cannot deliver on their campaign promises”. the group said. The group also gave another example of how President Buhari’s age is affecting his performance and reminded Nigerians of how he disgraced the country in a world forum when he referred to the President of Germany as President of West Germany. “Nigerians saw this all along during the campaigns but could not resist the broom stick voodoo that the APC used to hypnotize the people. Nigerians will also recall that this same Pa. Buhari could not remember the complete name of His Vice Presidential Candidate and even the full name of his party, the All Progressive Congress (APC) under which platform he was contesting and instead referred to it as the All Progressive Confidence during the campaigns. How long will a nation like Nigeria, the giant of Africa remained under this hypnosis of the APC” the group queried. Finally, the Watchdog urged the people of Nigeria to wake up to the challenge and resist this daylight robbery and blackmail of the All Progressive Congress (APC) and demand the immediate resignation of Pa. Muhammadu Buhari and call for another election to elect a more competent and vibrant Nigerian to lead to the people to the Nigeria of our Dreams.